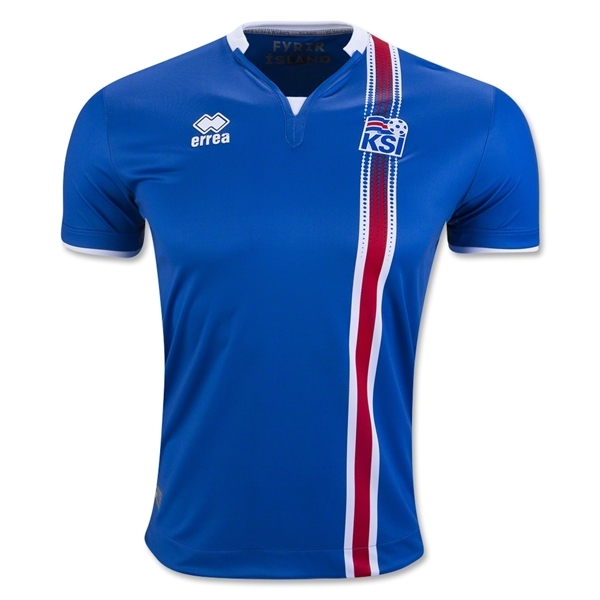 This is the jersey Iceland will wear this summer as they take on the rest of Europe. The design is inspired by Iceland's flag. Sky blue with red/white stripe that runs through the team badge. The jersey is 100% polyester and provdes maximim comfort in warm conditions.